Interviews available pre-event in studio or at the AAA office with a AAA travel agent. Find out why at this free and interactive event provided by AmaWaterways and AAA travel experts. Members and non-members alike are invited to explore the many options available; from cruising the Danube in Europe to the Mekong in Vietnam or even a wildlife trip in Africa. 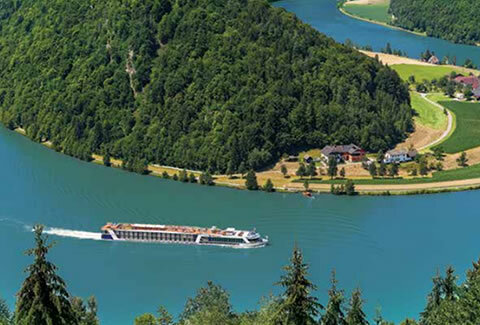 • River Cruises offer an up close and intimate sight-seeing experience. • Typically, no more than 190 total passengers are aboard. • Locally sourced, fresh foods served with native recipes prepared by acclaimed chefs. • Instant access to the sights around you.